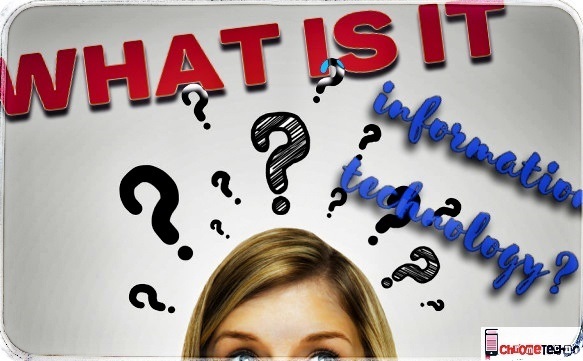 If you want to know what is IT or what is information technology or IT means then you are on the right place today’s Here in this blog post, I am trying to tell you all about the IT. In this post, I am also going to tell about what are the benefits of IT (information technology) and jobs in IT sectors, so stay tuned with us. Basically in IT means by the help of technology we transmit the information from one place to another place or from one person to another person. Another definition of IT = IT is solving is problems (technical problems), thinking (technical thinking), processing, IT is making money, saving lives, changing the world, IT is new gadgets, IT is everywhere. Information technology is using computers and different types of technology to transfer information over networks and share information. 💥What are the Benefits of IT (INFORMATION TECHNOLOGY)? IT information technology, this is my meaning of it. It’s basically the totality of all work and everything related to computers and technology in the business. This has changed a lot over the years as we used to have IT, staff. IT staff members were the people who set up their computer in the company’s work and installed the Microsoft window there, a dump of their system, and a system-built hard drive. Mistakes would fix it and configure their networks and all that. I think there is still this part of IT, but now it’s the development staff, the developers who belong to the developer, the sub-operations that run the infrastructure, and they also make sure the software is implemented.IT is technically you as a software developer. They are also IT because they are part of IT. I think that was always part of it. Information technology (IT) is a kind of large scale of any function and responsibility of work that relates to computers in the business environment. That’s how I would define it. Some people may define it differently, but that’s really it. The IT industry is the whole industry and it’s really big. However, many things change because we once again used the term to talk about the people at the help desk, the people who configure your computer, the networks, and other things, but now we often have the cloud. We have AWS, where we mainly use virtual machines and cloud-based hosting. Many companies do not have this, they do not even have IT, they outsource IT because this infrastructure is the type that the cables used to use the network have given an IP address, are not necessary for anyone, since we have them can solve with technology. There are still many of these people, but I’m just saying that in general, many companies that have been in IT when I was in my software development career earlier, like “Duh?” Well, there are actually a lot of new software developers who say, “Well, what’s that?” I do not get it: did not we just shoot a machine in the cloud? What’s it I do not understand this: you’re a software developer who runs the code and that’s it, and then we have the developers and implement the code, that’s it. “In some companies, the IT department was eliminated due to this fact. You do not necessarily have some kind of network, you do not have to go to a help desk representative because you have this capability when technologies change. So that’s it really and it’s something that, as I said, evolves. 1.Use IT (information technology) to teach students “how to program”. Basically, we say that it helps you in the studies. 3.IT helps you to manage your information. 6.Information technology and the health sector. 9.Accurate and speedy processing of information. I have clarified and arranged a list here. There will be a cheat sheet for me for the first ten jobs that, I want to discuss, these are my bullets and I’ll look for you and show you how you can start with these jobs. As these are the most lucrative job offers you can look for with a giant, small giant, medium-sized giant you want to have. So if you want to know the IT sector job stay tuned with us. Web development is something that will always remain in the computer industry, you cannot get rid of all those websites. I know that most things are changing to mobile devices, but you cannot get rid of the website. Now web developers are also divided into the two main categories of work. Now, obviously, their work is not what everyone sees, but we need some guys who can monitor the server, who can see our connection from computers to the Internet that is really good. How our servers are maintained, how things work there, what protocols to follow. Their work is not seen by the world, but in reality, they are very important since they are responsible for many things related to networks. Many people join engineering, but still, they have their heart or interest with animations, designs, sketches, and all these things. Now, the big part is that all those who are designers can move towards technology. Now for sure, you have to learn many new skills and the basic job of the UI $ UX designer is to make sure of how your website or web product looks or how your mobile applications look. All mobile engineers know how the mobile world is going. Now, especially in the iOS and Android sector, there is a special boom and a special ER in recent years after the launch of Swift. Android is really booming. IOS is really booming with its native applications that are also appearing. Therefore, mobile engineers are under the rocket to the future and I expect much greater growth in the development of mobile applications. a.They are not having the idea of how profitable it will be. b.And how stable it will be. c.And one of the reasons is that they are not finding enough engineers or architects that can move their architecture to a cloud-based service. Cybersecurity professionals now these days each product needs security. So security jobs are booming and are being eliminated a lot today, especially with the rewards of mistakes and everything. It is easy to find security because of these errors. But, once again, I would say that a security professional is a very difficult job to start, and even as the learning process is a lot to make sure you choose it very prudently. I have seen many engineering students who are good at keeping statistics and are still working on the Excel sheet. Now the good thing is that they can enter the business analyst. Because every business needs analysis. But once again, you must learn the technology to be able to understand what is really happening in your company and then you can provide some graphical data as statistics to be able to present new ideas and how you can scale that idea. It is possible that the evaluators have heard a lot about these jobs and are a bit different from the cybersecurity professional tests or because they are concerned about the security breaches and the testers are concerned about the working architecture or how it is breaking the links. Things do not work or do not really work, the way they should work really enters the tester. Now, if you want to try selenium, it is booming all over the world and, in fact, the mobile version of selenium is also growing a lot and there is a high demand for selenium at this time. Data scientist, this is a relatively new job, but it is growing quite a lot and in reality, it is completely empty in most companies. Now, with the data scientist, I want to cover up all those who speak of machine learning, who have compiled talking about data extraction and all the suggestions received in Flip’s car or in the IMDB or in the Amazon. They have relied heavily on the data, and yet, the Hadoop boys and everything else is also covered there. So, if you are trying or are looking to learn Hadoop or are looking to learn a machine or something, then you are definitely looking for the jobs of data scientists. The CMS developer now may not be because we have already talked about the web developer, but the CMS developer is one of the best jobs you can see in any particular city. what is affiliate marketing and how does it work? ?